Dr. Lee Jones and Dr. Karen Stewart provide high quality dental treatment to all patients. 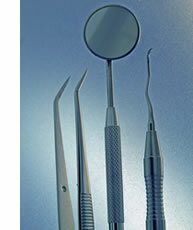 We inform our patients of their dental needs prior to the initiation of treatment. Please let us	know if you would like to set up a payment plan. 1. We accept cash, checks, and credit cards. Please come prepared to pay your fee at each appointment. 2. We accept most insurance offered by our patients. We will assist our patients in the processing of insurance claims. The patient is always responsible for his/her balance or co-payment. 3. We will provide all patients with a written treatment plan prior to starting treatment. After the treatment plan has been accepted, we would appreciate a financial arrangement be agreed upon.